Car thief in black balaclava pointing to auto owner. Car theft. 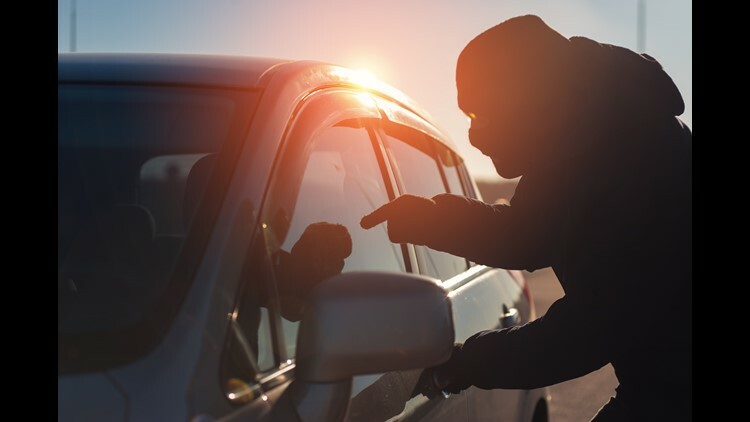 9NEWS Mornings is exploring auto thefts -- what causes them, how people can protect their property and where in the city they are the most common. DENVER - Cars can get stolen in any neighborhood, but in the Mile High City limits, Capitol Hill saw the most thefts-per-square-mile in 2017. That's according to data from the Denver Police Department, which lists the neighborhoods that saw the most auto thefts in a square mile. The graphic below explores the top 10 Denver neighborhoods for auto thefts per-square-mile. Click on an image to see how each one ranks. If you don't see the interactive graphic, click / tap here. RELATED | Is your car one of Denver's most stolen? Convicted car thief Vanessa Becker spoke to 9NEWS about how she stole cars to fuel her cocaine addiction. Now an inmate at La Vista Correctional in Pueblo, Becker was sentenced to four years in prison after a wild chase in January 2016 that ended in her arrest. She and six other inmates at prisons across Colorado also shared in a 9NEWS survey things that deterred them -- and encouraged them -- to steal a car. One highlight? The seven inmates said not only was it easy to steal cars, things like car alarms and key fobs did little to deter them.